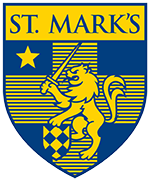 Generations of Marksmen affirm that St. Mark’s provides one of the most rigorous and rewarding educations in the nation. An investment in education lasts a lifetime, and evaluating and honing the academic program remains a top priority. A boy’s character can be strengthened, and his capacity for leadership can be developed. 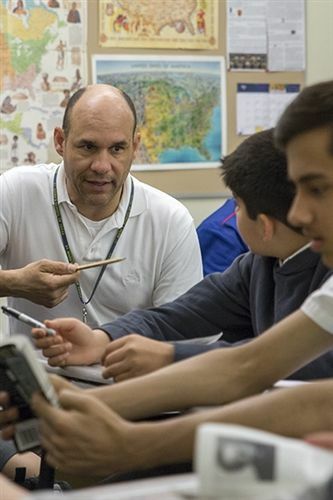 Therefore, we approach character and leadership education with the same intentionality that we approach teaching math, science, English, foreign language, and history. Whether examining different faiths in the Chapel, competing on the playing fields, expressing creativity in art studios, or passing one another in the hallways, every moment of a Marksman’s day holds the opportunity for growth and education. A. Continue to enhance the School’s curriculum and develop innovative programs that challenge each boy to realize his fullest potential. Conduct a comprehensive review of the School’s academic program. Expand the computer science curriculum in scope and sequence. Identify and develop opportunities for learning beyond the St. Mark’s campus, including cooperative relationships with other institutions, online learning platforms, outdoor education, and expanded domestic and international student travel. Review co-curricular programs regularly, including Athletics and Fine Arts, to enhance the experience of every student. Develop a more comprehensive health education curriculum in scope and sequence. Review the Chapel program regularly to support the spiritual development and education of every student. B. Further develop and expand character and leadership education. Formalize character and leadership curriculum for grades one through twelve. Identify specific character and leadership education objectives for each grade level. Expand faculty and staff training specific to character and leadership education. Communicate the character and leadership education program’s purpose, vocabulary, and objectives, and explore opportunities for engagement with alumni and parents. Host a national symposium on character and leadership education within five years. Define metrics that measure the progress of the character and leadership program. C. Explore, design, and implement a daily schedule that better addresses the evolving needs of students and faculty. Conduct a comprehensive review and evaluation of the current daily schedule. Investigate potential schedule models, facilitate faculty and staff discussions, and share findings throughout the process. Ensure a smooth transition for students, faculty, and parents should changes be implemented to the daily schedule. D. Assess and strengthen the student advisory program. Review, clarify, and revise the purpose, goals, and objectives of the advisory program in grades five through twelve. Design, publish, and implement a core advisory curriculum in grades five through twelve to meet the goals of the advisory program. Expand training and support for advisors to fulfill the goals of the advisory program. Strengthen standard communication practices among advisors, administrators, and parents. Over the past decade, St. Mark's has coordinated the efforts of its faculty and expanded the purposeful work in character and leadership across campus. The entire faculty and staff have spent days learning and discussing the basics of the conceptual vocabulary and logic, while more than 40 teachers and administrators have attended additional faculty institutes for deeper dives into our pedagogy. Additionally, through concerted collaboration between the faculty, English 10: The Habits of Thriving has become the Character & Leadership Education's central curricular home, while sixth- and eighth-grade humanities classes have developed potent curricular units. Also, nearly half of the faculty has participated in determining goals and opportunities for feedback on the boys’ development and maturity as leaders at the key mileposts of fourth grade, eighth grade, and twelfth grade. On the student side, in addition to the tremendous number of hours of service the boys give to the greater Dallas area, more than 100 Upper School boys participate in 12 internal service organizations designed to provide opportunities for student-to-student interaction and discussion of issues in character and leadership between older and younger boys. Finally, members of the faculty have presented this character and leadership pedagogy at conferences across the country and around the world, published articles in journals, and visited and hosted teachers and administrators from 11 peer schools, helping them build out their schools’ efforts and developing a national reputation for St. Mark’s as a leader in character and leadership education.